Ya know I feel as though this generation sometimes get so drawn by the trends that they tend to forget what makes them, themselves. Some are afraid to wear treasures from the past. I’m not ashamed of my thriftin' and finds of the past. I feel like I’m exclusive that way. Of course everyone has inspiration from somewhere and I to have mine, but my advice on clothing stick to what you know. & I know classic, lol. 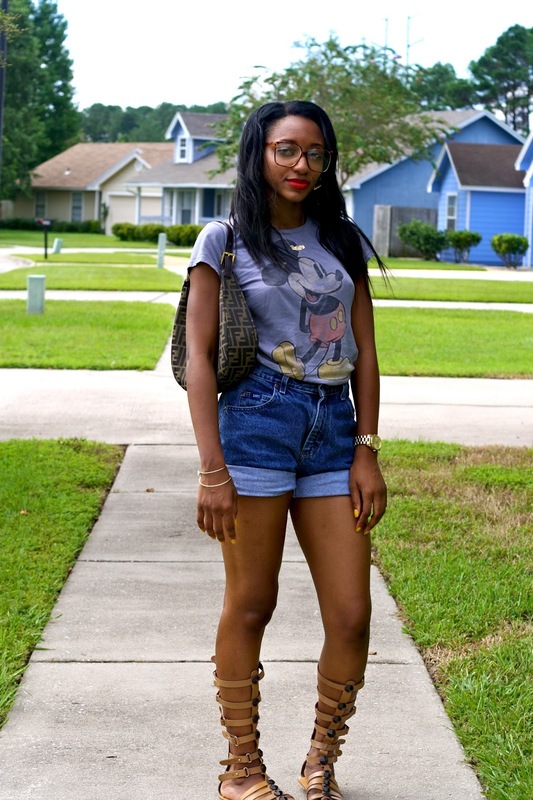 There is nothing like a good thrift and vintage piece. 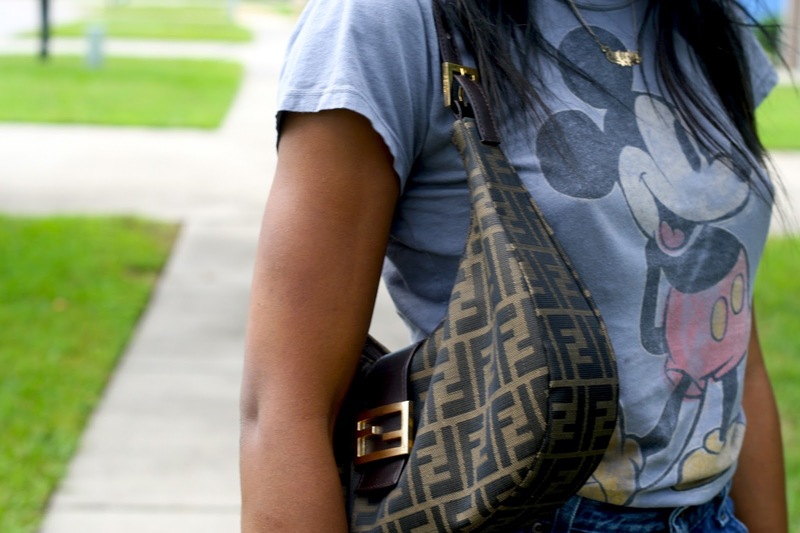 I recently purchased this Fendi bag from this thrift store that I absolutely adore. & the bag is just adorable. I encourage everyone who has not yet thrift in their lives to find a treasure that they can grow with and past on to their future love ones. Urban Outfitters sandals. Fendi bag. Nadri bangles. Forever21 frames. 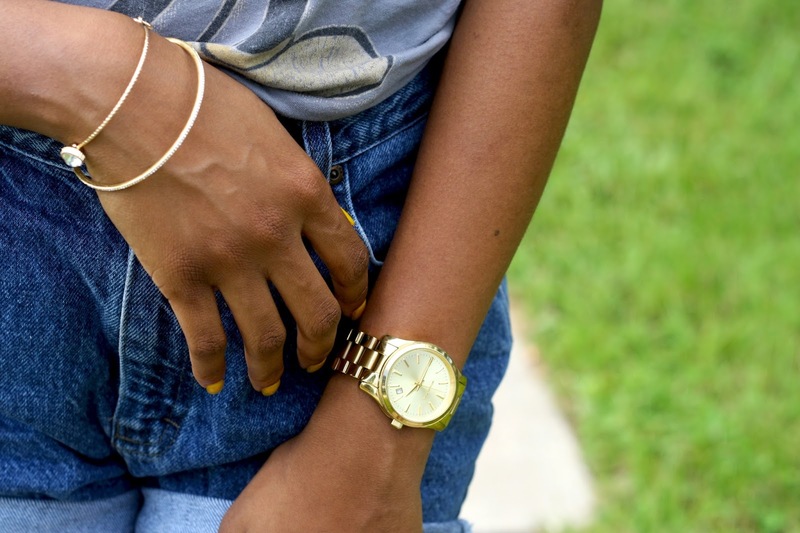 Michael Kors watch.